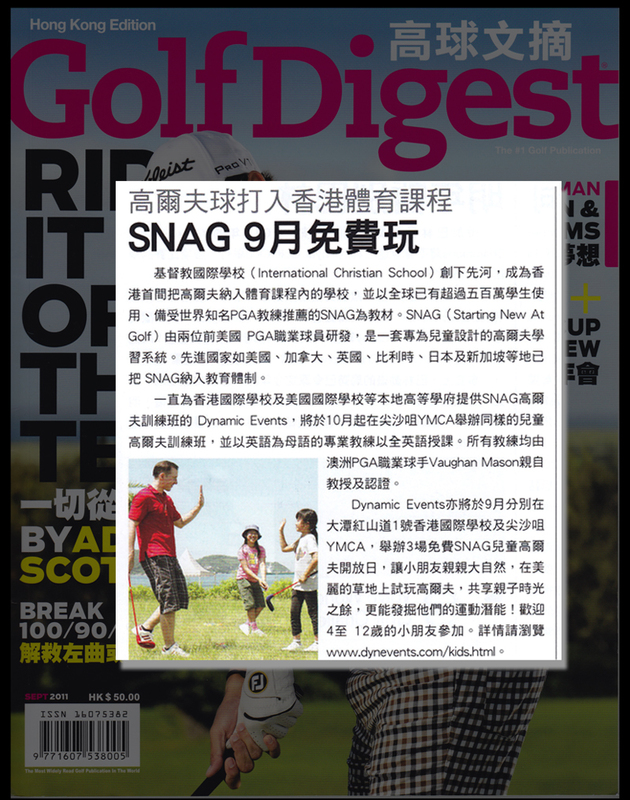 As one of the world’s proven equipment to teach the game of golf in easy and fun way (in almost any venue), SNAG recently had a strong following by a strong group of influencers. 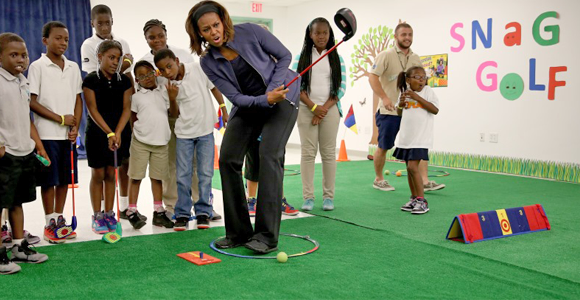 The First Lady, Michelle Obama had a fun trial of SNAG while promoting the “Let’s Move!” campaign which encourages young children to live a healthy and active lifestyle. 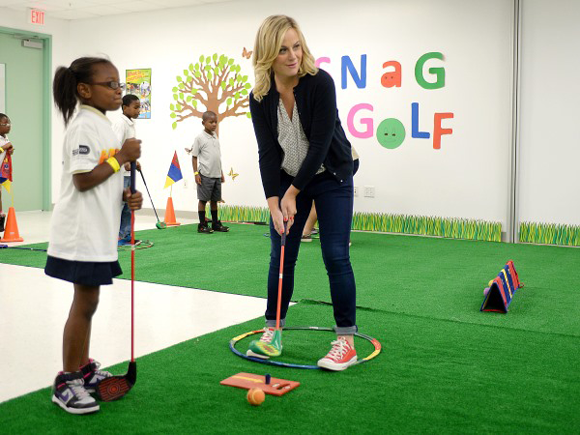 Ms. Amy Poehler, who’s famous for her acting career in the popular American show “Saturday Day Night Live” as well as other movie roles joined in the fun during the day. 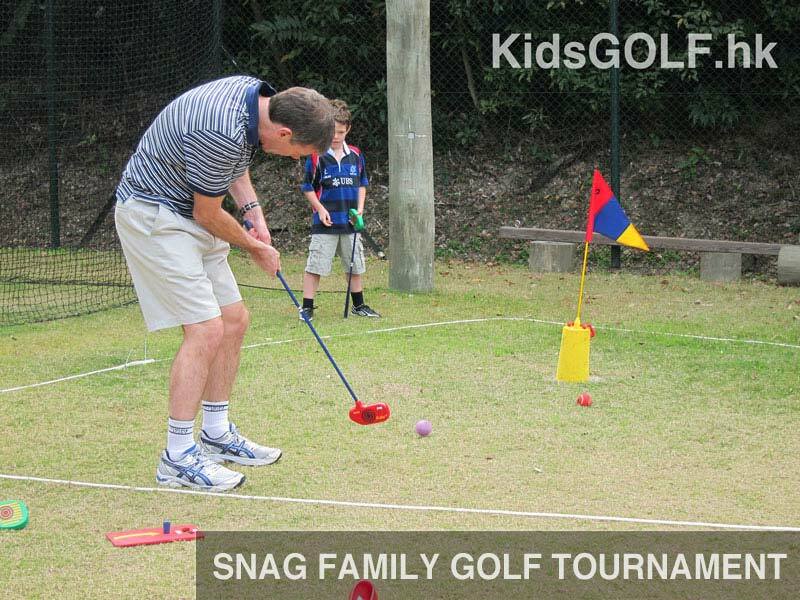 SNAG is currently used in 42 countries and 15,000 schools around the world and allows golf to be learned and played in non-traditional venues, such as on a soccer field, in a gym, on the beach or any open space. 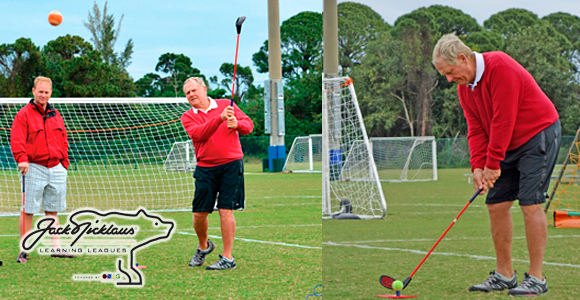 In 2013, SNAG teamed with Hall of Fame golf legend Jack Nicklaus to launch the Jack Nicklaus Learning Leagues in order to introduce golf as a team sport to the thousands of parks and recreation facilities across the country. 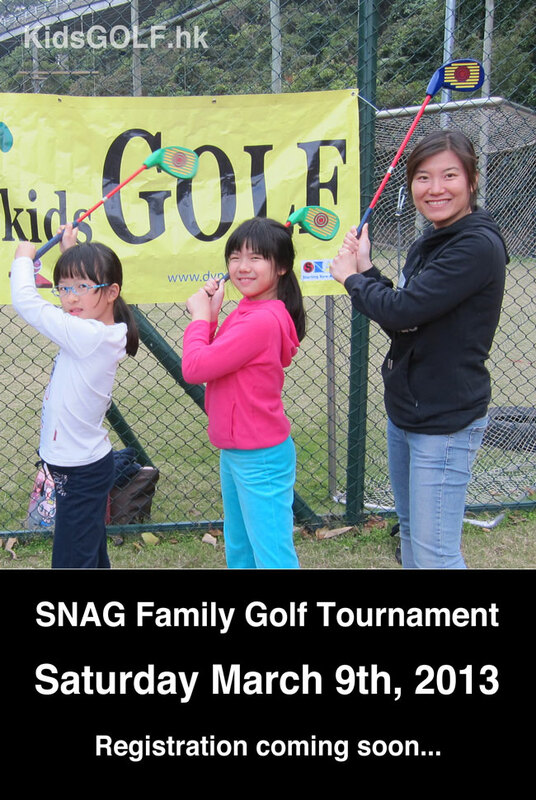 SNAG also is working with communities and nursing homes nationwide to establish active adult and senior golf opportunities as well as multiple programs for players with disabilities and even wounded warriors. 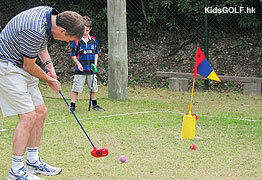 SNAG is far more than an equipment company. Every SNAG coaching kit comes with a complete training manual with detailed instructions and lesson plans to properly teach the basic shots of golf to insure a strong base for new learners. 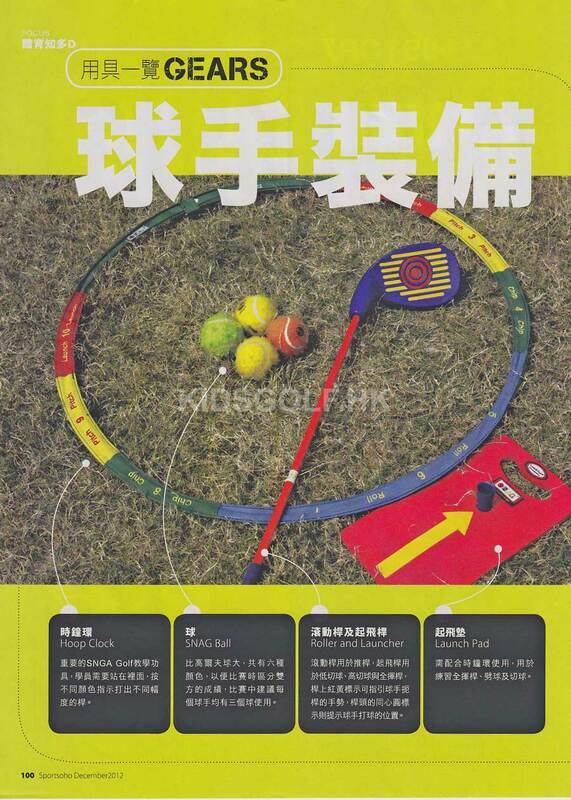 Thanks to Sports Soho Magazine for the wonderful article covering all the SNAG equipment and lessons held at Hong Kong International School. 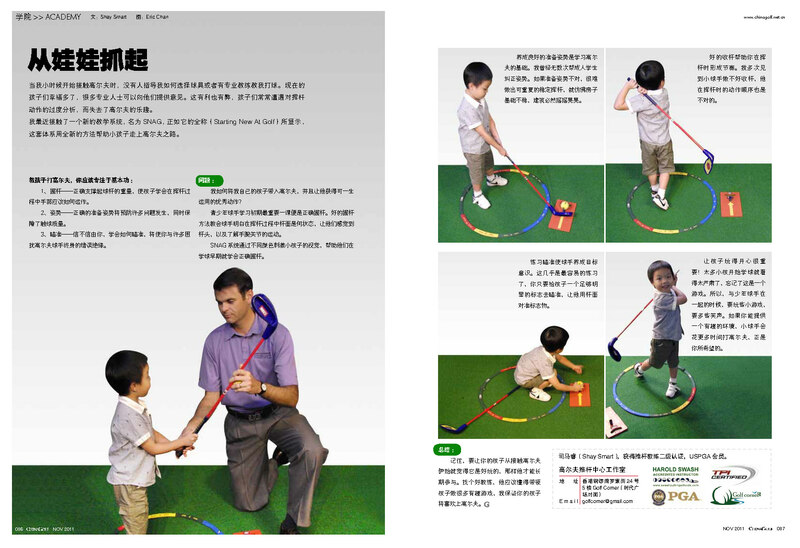 Thanks to PGA Golf Pro, Shay Smart, SNAG equipment and system was nicely introduced through an article in China Golf Magazine during November 2011. 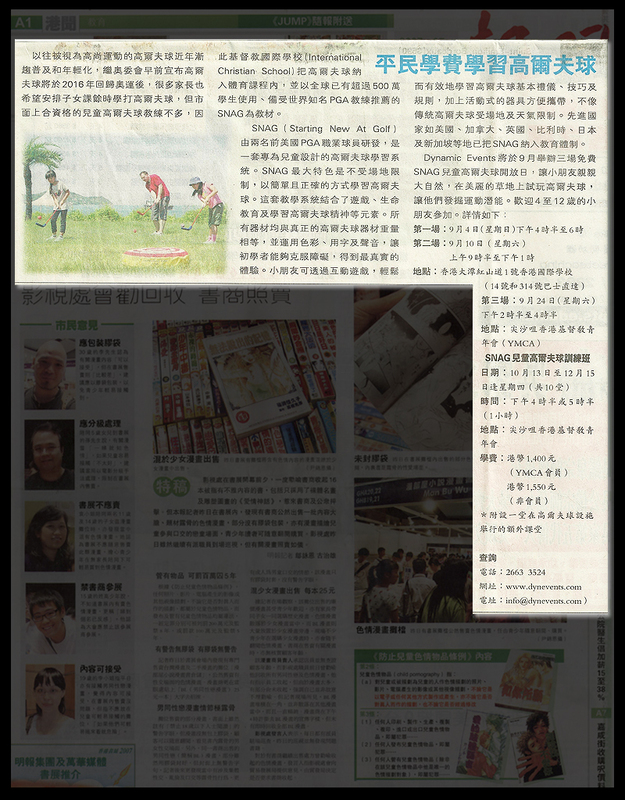 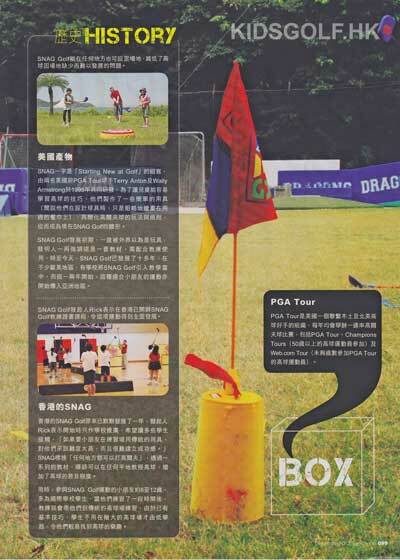 We had a great article from East Weekly regarding our SNAG golf program in Hong Kong. 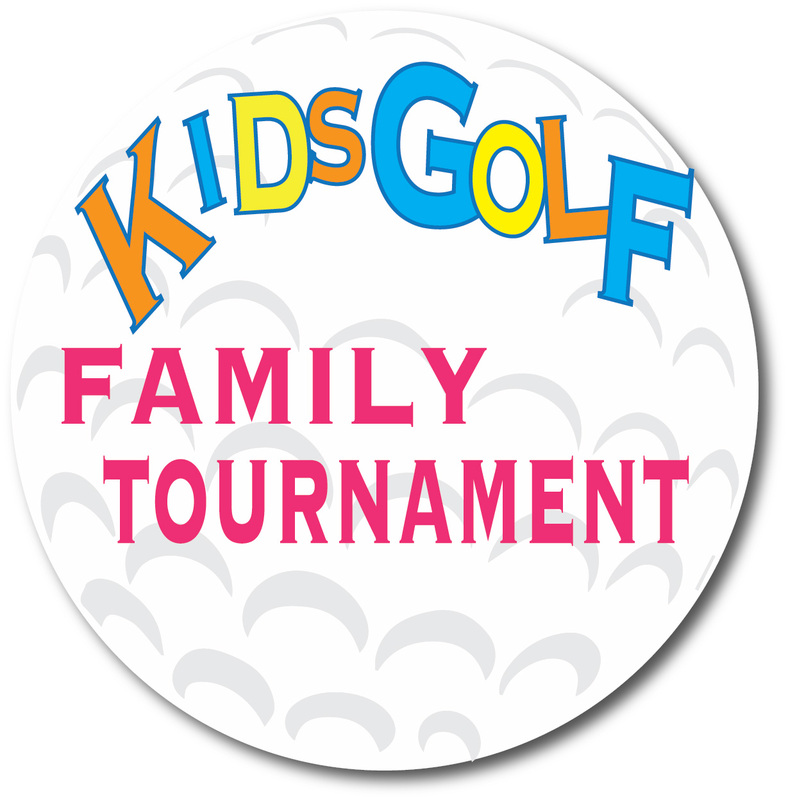 Thanks to all the kids and parents who came out for our photo shoot! 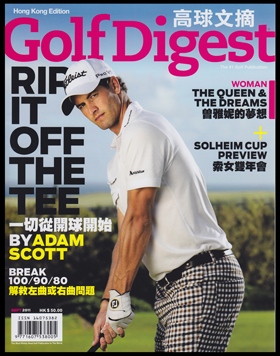 SNAG Golf Coverage in GOLF DIGEST! 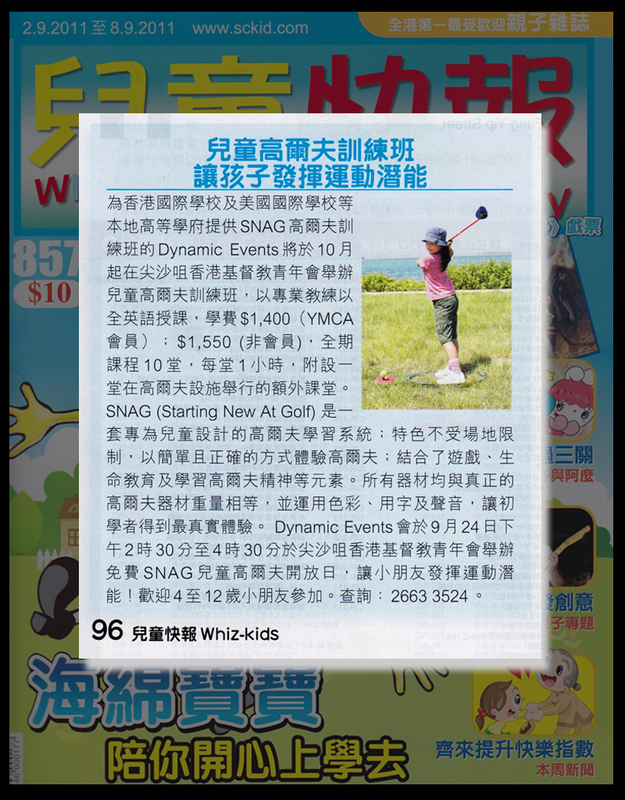 Nice little promotion was found in Golf Digest informing readers of our up coming SNAG events at schools in Hong Kong and at the YMCA. 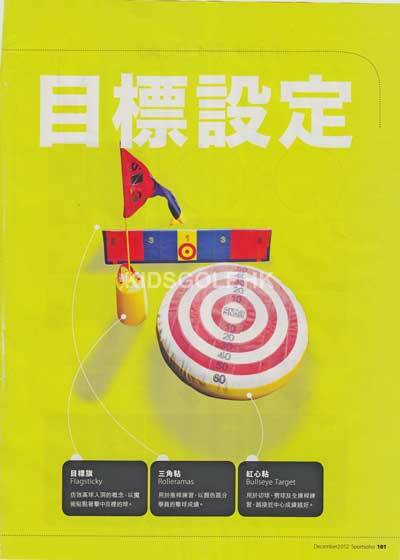 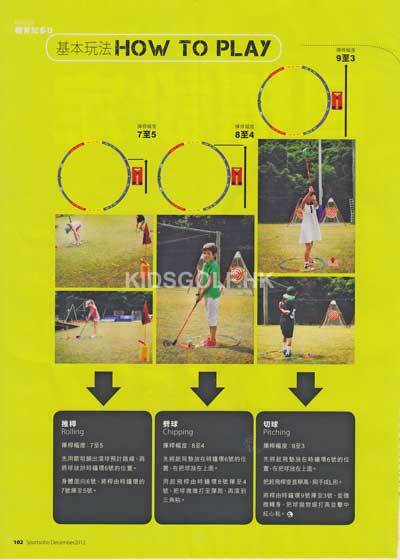 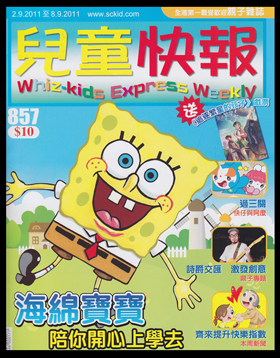 Thanks to Whiz-kids Expres Weekly, we had more parents knowing about our free SNAG golf trial at YMCA and at the Hong Kong International School. 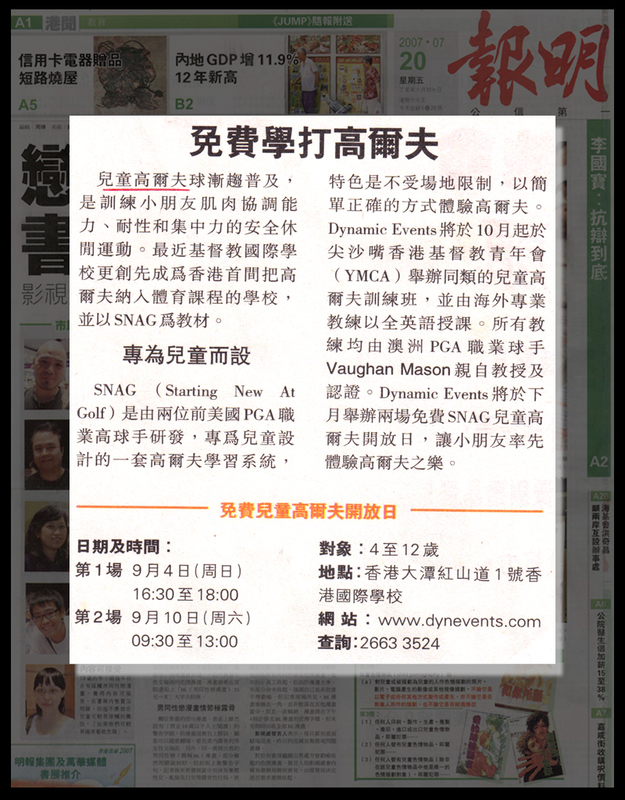 SNAG in Hong Kong is going to grow so fast! 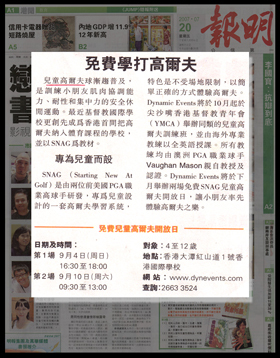 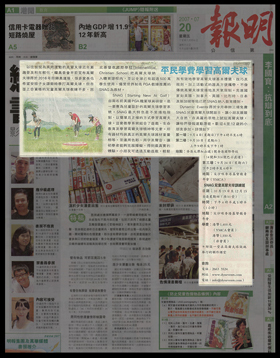 On August 30th and 31st, Ming Po Newspaper informed readers of our free SNAG golf trials at YMCA and Hong Kong International School. 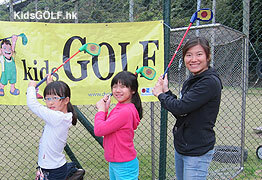 It also introduced the SNAG system and our golf program within local schools.